As recipients of the mantel of freedom, we are to uphold the vision of a citizenship where all can experience liberty. As President Ronald Reagan once said, “The greatness of America doesn’t begin in Washington; it begins with each of you—in the mighty spirit of free people under God, in the bedrock values you live by each day.” What we do with that freedom is up to us. We are capable of preserving the golden dream of America and, once again, becoming the “shining city on a hill”. 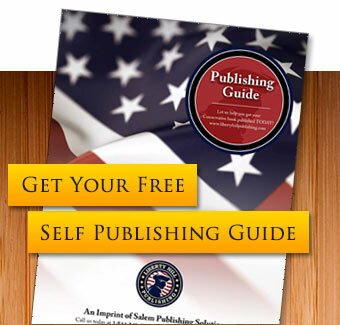 Liberty Hill Publishing is unique in the self-publishing world. We are the only self-publisher dedicated solely to protecting and sharing the conservative message. We see a brighter, stronger America in the future, and we know it will take your message to get us there.